Sari Dalena is a Fulbright scholar and independent filmmaker from the Philippines. 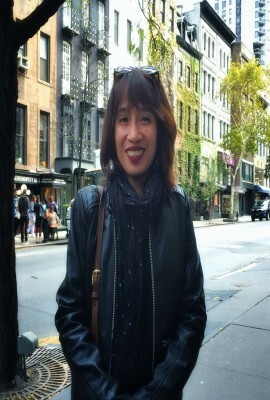 She obtained her Master’s degree in Film Production at the New York University graduate film program through a Fulbright Scholarship and NYU-Tisch Graduate Fellowship. She was honored as one of the Cultural Center of the Philippine's 13 Artists Awards in 2000 and the Asian Cultural Council Fellowship for 2002-2003. She is an Associate Professor and Director at the University of the Philippines Film Institute (UPFI). She won twice at the URIAN Film Awards for two short films: “Asong Simbahan” (Church Dogs) and “Mumunting Krus” (Little Crosses). Ms. Dalena’s first feature-length documentary Memories of a Forgotten War (a documentary on the Philippine-American War of 1899), had the honor of being the closing film at the Documentary Fortnight in New York City’s MoMA (Museum of Modern Art) and was screened at the Rotterdam Int’l Film Festival (IFFR). Memories of a Forgotten War and From Asia With Love are being distributed by Third World Newsreel. Her short film Kamikaze was selected at the Clermont Ferrand Short Film Market. Her first feature film, co-directed with Keith Sicat, “Rigodon”, won Best Film at the Int’l Panorama of Independent Filmmakers in Greece and was nominated for “Best Feature” and “Emerging Director” Awards at the San Francisco, Los Angeles, and New York Asian American Film Festivals. In 2011, Dalena won the “Best Picture” and “Best Director” prize from Cinema One Originals on her feature film, Ka Oryang. In 2013, Dalena co-directed “The Guerrilla is a Poet” for Cine Filipino which won four awards. Her most recent film was the musical-documentary drama “Ang Kababaihan ng Malolos” which premiered at the Cultural Center of the Philippines on February 2014. Dalena’s other notable documentary films are “Guerrera” “Himala Ngayon” and “Ishma”. In 2015, Dalena directed the three-hour experimental documentary drama film on the life and works of National Artist for Literature Nick Joaquin, entitled “Dahling Nick”. The groundbreaking documentary was listed among the Best Films of 2015.